I found this undated photo in the collection. Written on the back was “Elmvale Squirts”. If you can identify any of the boys, provide a date, or tell us anything about the Elmvale Squirts in general, please let us know. Huronia Museum has a lot of photos in its collection which need to be identified. Keep an eye out, I’ll be posting more. Thanks, in advance, for your help. 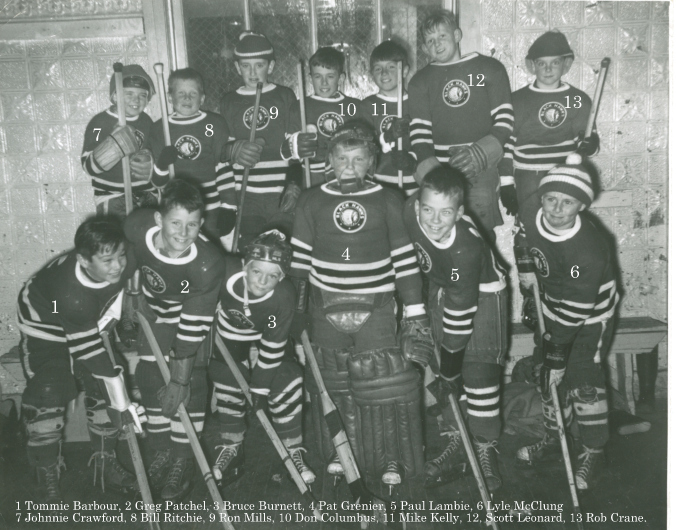 Thanks to Mike Patchell and Mrs. Gord Leonard for adding names to this 1957/58 Elmvale hockey team.